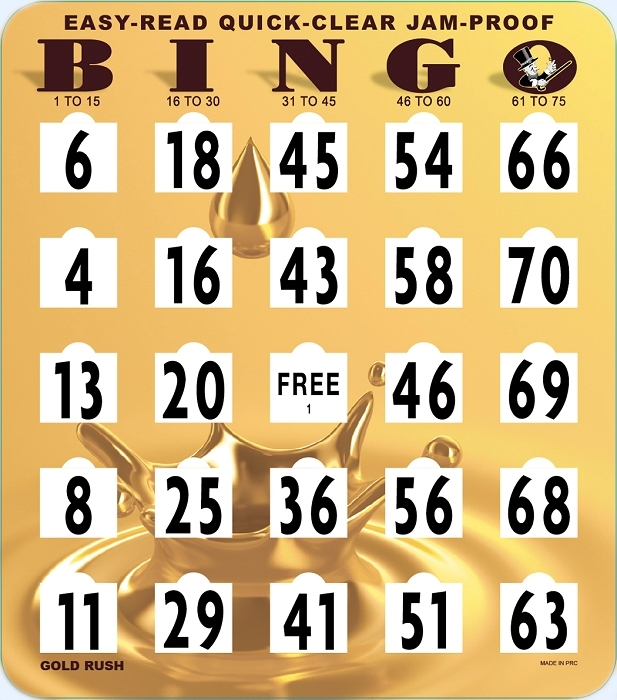 These Jumbo Bingo Cards are great for people who prefer to have large numbers. QUICK-CLEAR center window allows for fast and easy clearing. This card also features Unique JAM PROOF window technology. 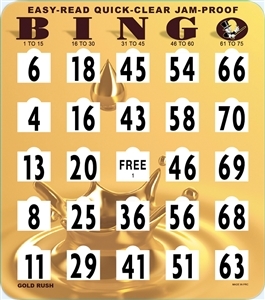 Features "Gold Rush" artwork. 5-Ply Heavy Duty design. * *Sold by the card.